Earlier today, The Republican president – Mr. Edgar Chagwa Lungu took it to facebook appreciating the significance of Zambian arts ranging from painters, script writers, film producers, actors, musicians and fashion designers just to mention a few. 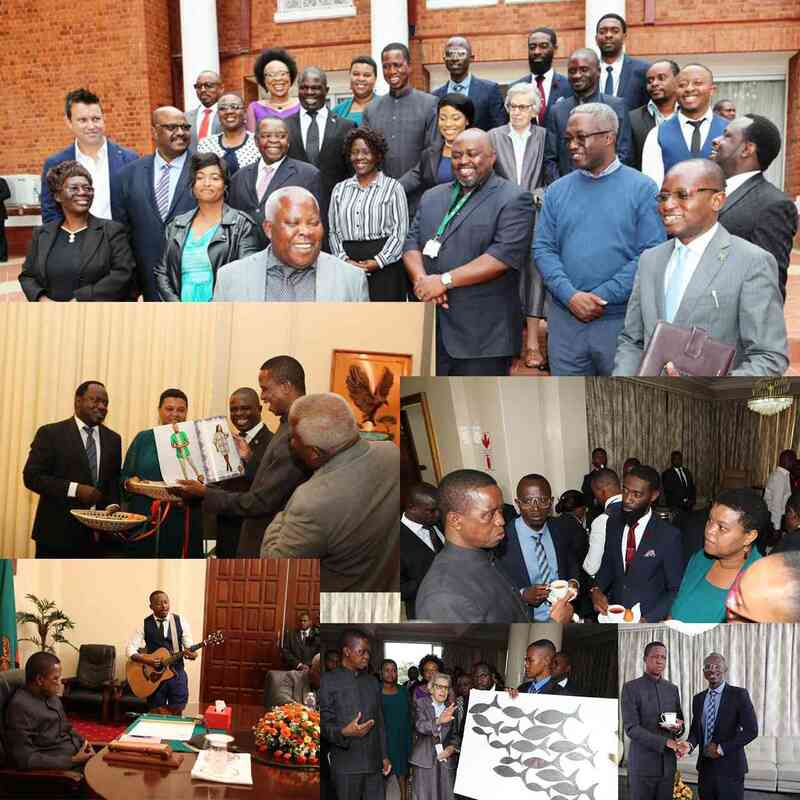 He (President Lungu) expressed how happy and proud he was by saying “Am very proud of the works done by our artists and decided to welcome a delegation from the National Arts Council comprising of painters, script writers, film producers, actors, musicians, fashion designers among others to State House. I encouraged them and the youth at large to continue using their God given talents as opportunities for self-employment. I urge you all to support, respect and never to politicize the creative industry because it is not only a form of expression but also a source of employment for our youths. I want to reaffirm my government’s commitment in supporting the creative industry in line with our digital migration program which will eventually help increase audience on locally produced content.” Abel Chungu was one of the artist who graced the event with a beautiful perfomance. Tags President Edgar Chagwa Lungu Zambian Arts Council. Yellow Dove ft. Mag44- "Get Drunk"